If you think that smartphones and apps have become an indispensable part of modern living, helping keep things more organised, enjoyable and fun, wait until you hear about augmented reality. Augmented reality refers to juxtaposing data generated by software or apps over reality. The technology is nothing new, having been used for both military and commercial purposes. However, with Google’s Project Glass, the technology has gained further prominence. With the aid of experts in 3D animation, some businesses can use this technology for a variety of purposes. In partnership with an experienced app developer, businesses can create a powerful tool that can enhance the learning experience of students. Instead of simply reading books or listening to lectures, students can be fully immersed into an augmented reality where GPS is utilized to provide useful information depending on the user’s location. It can also be used as a valuable training tool by your personnel, as proven by the researchers at the University of Central Florida who worked in coordination with the American Army to develop an app that will teach personnel in the battlefield about surgical procedures. By using an especially designed set of cards and their smart devices, army personnel get to see a short animation of the various steps involved in first aid surgery. Now, imagine the various applications you can do in terms of training new staff. A lot of businesses these days have really taken advantage of this new technology. It makes their work easier and a lot clearer for their new staff to absorb and understand. 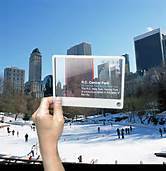 Augmented reality can also be used to provide useful information in real time. Imagine holding out your smartphone under your car’s hood and then seeing each individual part labelled accordingly. Or imagine walking into a new neighborhood and discovering that you can easily access information about the nearest drug store or restaurant with just a few taps on your smartphone. Even retailers are starting to integrate augmented reality with their digital marketing efforts. Consumers can also benefit from an enhanced shopping experience. For example, visualize being able to see how a particular fashion accessory looks while wearing it without actually getting hold of it. Or if you are thinking about getting a new couch for your apartment, you do not have to stretch your imagination too far just to gauge whether the furniture complements your living room’s design or not. Augmented reality may seem like the stuff you usually read about in sci-fi novels or watch from movies. But the truth is, the technology is here now with mobile app developers and businesses barely scratching the surface of its potentials. As technology moves forward, its applications will continue to expand. Check this out for more information. Click here if you want to know more about Augmented Reality.